🎙Thanks to the thousands of you who downloaded yesterday's Pro Rata podcast debut. All feedback welcome via email (dan@axios.com). The next one will be up by 1pm EST today. Subscribe and listen via Apple or other podcast platforms. Two former Uber executives are quietly operating an investor syndicate to invest in startups led by their former colleagues, Axios has learned. It's called Moving Capital, and also invests in two-sided marketplace and transportation startups. Initial portfolio companies include Lime and Cargo. The co-founders are Josh Mohrer (launched and led NYC) and William Barnes (led West Coast ops). Moherer also was briefly a partner at Tusk Ventures, where he led the firm's Series A and Series B investments in Bird. The private syndicate, operated via AngelList, consists of around 100 Uber alums (many of whom have plenty of cash, thanks to the SoftBank tender). Around half of them have been active so far. Don't be surprised if Moving Capital soon evolves from a private AngelList syndicate to a more traditional VC fund structure. 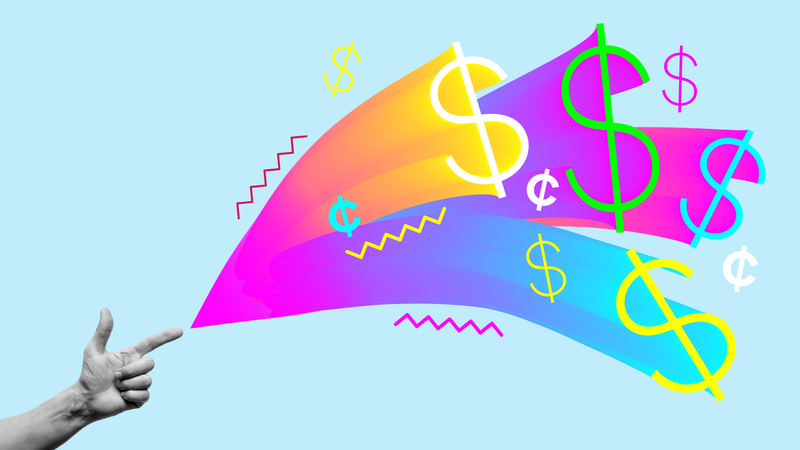 Bottom line: There should be plenty of deal-flow. Last week I was chatting with some VCs about the relative dearth of Seattle startups, expressing surprise that neither Amazon nor Microsoft have really become founder factories. A few of them suggested that lots of startups would likely come out of Uber, due to to a highly-entrepreneurial environment (particularly on the ops side). As one of them explained: "No matter what you think about Uber's culture, everyone there will tell you that team leaders were basically running mini-companies, with lots of ability to try new things." Chinese agencies responsible for vetting deals have already signed off, people familiar with the steps have said. The final authorization could be processed and made public at short notice if China’s political leaders decide to release it. NXP gave Qualcomm until 11:59 p.m. on Wednesday, July 25 in New York to get it done. Absent any word from China, Qualcomm doesn’t plan to seek an extension. "Let's assume that a company can no longer easily trade into China or the U.S. but still has a desire to do so for strategic reasons. One option is greenfield investment, like building a plant to skip tariffs, or you can go buy somebody local to do the same thing. These are basically substitution effects for trade." Moldenhauer says he is using "M&A" liberally here, as it could be anything from a complete buyout to a joint venture to strategic transactions that don't involve any equity (such as certain biotech partnerships that might be encouraged by the Chinese government). "The last big trade war began in the 1970s with the Japanese, when both sides were taking a similar amount of political grief over similar things like trade deficits and investments in sensitive industries... as it played out, Japan became one of the biggest investors in the U.S. economy, including through M&A." Moldenhauer stresses that his is a long-term view as, right now, trade uncertainty is depressing both inbound and outbound deal-flow. "I suspect we'll see a bit of a rough third quarter." Metromile, a San Francisco-based pay-by-mile auto insurance and automated claims processing company, raised $90 million in Series E funding. Tokio Marine and Intact Financial co-led, and were joined by return backers NEA, Index, Future Fund and Section 32. Why it's the BFD: Because while everyone seems focused on an autonomous driving future, there are still plenty of present-day usage trends that require updated solutions. • Baird Capital acquired a majority stake in Collingwood, a UK-based designer and maker of residential, commercial and exterior luminaires. • Town & Country, a Boston-based portfolio company of H.I.G. Capital, has acquired Home Dynamix, a North Arlington, N.J.-based wholesaler of floor rugs, mats and bedding. It also bought Amalgamated Textiles, a Montreal-based supplier of window treatments and hardware. • Donnelley Financial Solutions (NYSE: DFIN) sold its language solutions business to SDL (LSE: SDL) for $77.5 million in cash. Roughly 78% of the more than $1 trillion in outstanding U.S. leveraged loans are cov-lite, compared to just 29% in 2007, at the peak of last credit cycle (and just before the financial crisis). 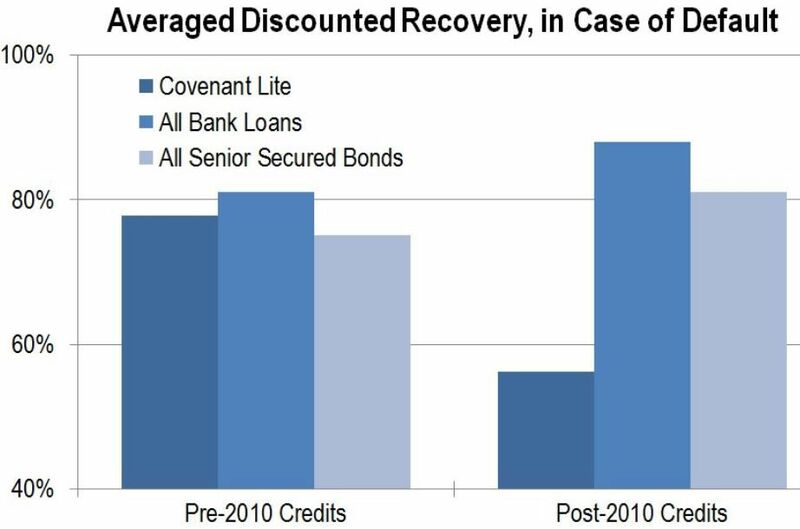 While the data set for recent-vintage cov-lite loans that have entered and emerged from the default/distressed exchange/bankruptcy processes is necessarily thin – leveraged loan default rates have been stubbornly low for much of the current credit cycle – it offers insight into how today’s cov-lite loan binge might impact recoveries.